St Helens Councils special guardianship policy sets out how the local authority will assess and support carers who wish to progress with special guardianship orders for children in their care. A revised policy aimed at helping children in care find a more stable home has been approved. St Helens Council’s special guardianship policy sets out how the local authority will assess and support carers who wish to progress with special guardianship orders for children in their care. Special guardianship is a formal court order that places a child or young person with someone permanently and gives this person parental responsibility for the child. It was introduced in 2005 as part of the Adoption and Children Act 2002 and provides a legal framework covering the arrangements for securing provision of services, financial support and the requirement for assessments and plans in addition to reviews in respect of the child. However, the council’s current special guardianship policy had not been updated since 2011. Speaking at cabinet this week, Coun Joe Pearson, cabinet member for developing young people, said special guardianship orders allow looked after children to be discharged from local authority care into a more stable home. Coun Pearson said: “Special guardianship is important for children because the order provides stability and legal security for the child by providing the care with greater levels of parental responsibility. “Although foster care is an important means of providing a family, for some looked after children it does not provide legal permanence and for some children the arrangements and the statutory processes can be intrusive and stigmatising. 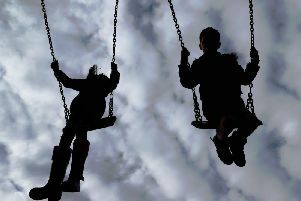 “Research has shown that children in long-term foster care lack a true sense of belonging and fear that they may be removed from the placement. St Helen Council currently supports 338 special guardian carers who are caring for 523 children. Under special guardianship orders, links between the child and their birth family are maintained. But unlike adoption, a parent retains parental responsibility, although scope to exercise this is limited. Special guardians are therefore responsible for the day to day decisions of the child’s care. For looked after children, the granting of a special guardianship order replaces any existing order. Coun Pearson said if it is in respect of a care order being rescinded then St Helens council will no longer hold parental responsibility. The Labour councillor added that the revised policy will provide a framework for future decision making. The main changes to the revised policy relate to the eligibility criteria and support arrangements. 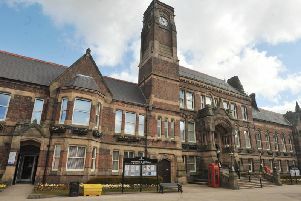 Council leader Derek Long said the revised policy is one of many “systemic changes” being implemented within children’s services to make it more effective. The changes come following a damning Ofsted focused visit last summer. Coun Long said: “What we’ve got here is a report which is putting right a mistake, or an oversight, which goes back six, seven, eight years potentially, which needs to be put right. Cabinet approved the revised special guardianship policy.